This book takes you around the world with your destination being a better understanding of wine in each country. 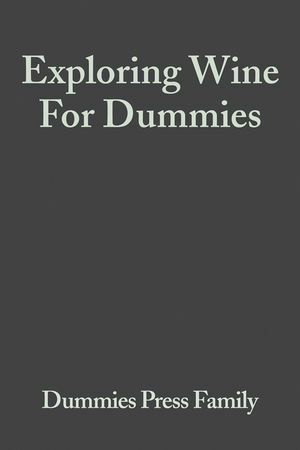 Exploring Wine for Dummies looks at the wines of Europe, Australia, South Africa, and other locations. It also prepares you to use your senses to properly access various wine varieties and be more discriminating in your choices. Dessert wines, champagnes and food pairings are also featured. Feel more confident when choosing wine as gift or ordering wine at dinner. The journey can begin now!